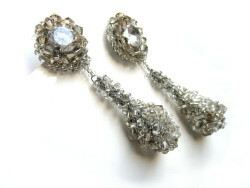 Those shiny and very trendy earrings reveal the classy and rebellious spirit of the modern woman. 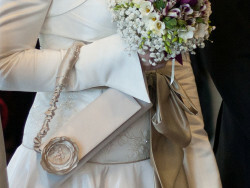 Inspired from baroque style. 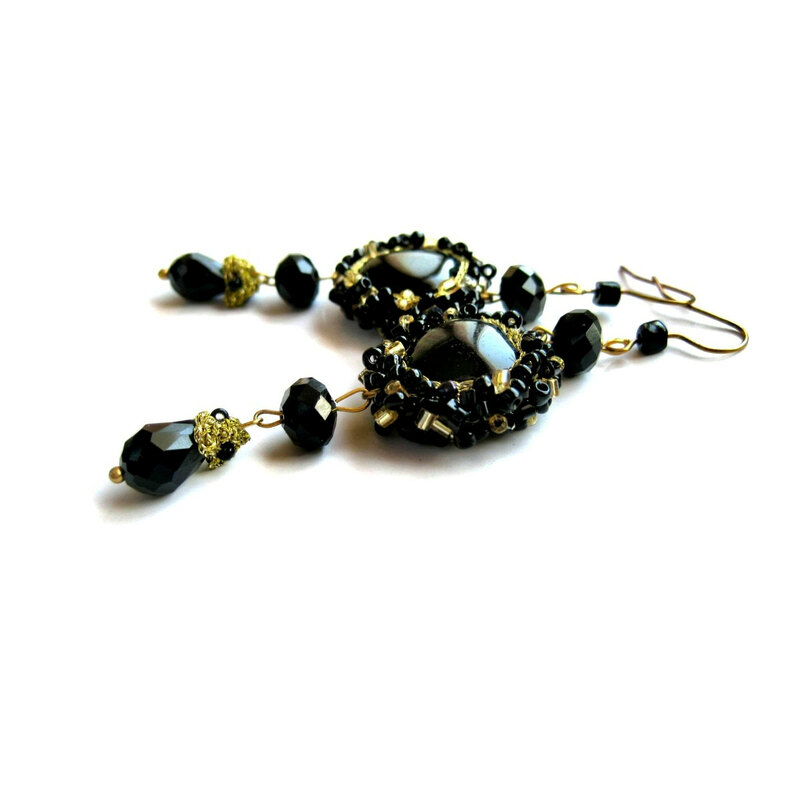 The rich black shades of the beads spread a mystic shine and give an irresistible look. 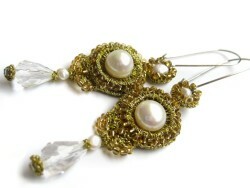 Made from golden thread lace embellished with black glass beads. The central bead is a heart-shaped natural onyx gemstone.